Doctors say the warm, humid air of indoor swimming pools can provide children with asthma an ideal environment for exercise, and it often helps improve their asthma symptoms. (DENVER, Colorado) – If you’re the parent of a child with asthma, you know it can be a challenge to find ways to help him or her exercise safely and comfortably. But experts say there is one activity that can help keep your child fit, and actually improve asthma symptoms. Not far from Dr. Olin’s office is Morgridge Academy, a school for children with chronic conditions who require daily medical attention on the campus of National Jewish Health. Administrators there consider swimming so therapeutic that it’s a part of the school curriculum. Over time, students who regularly play and exercise in the indoor pool have gained better control of their asthma and improved their cardiovascular health. 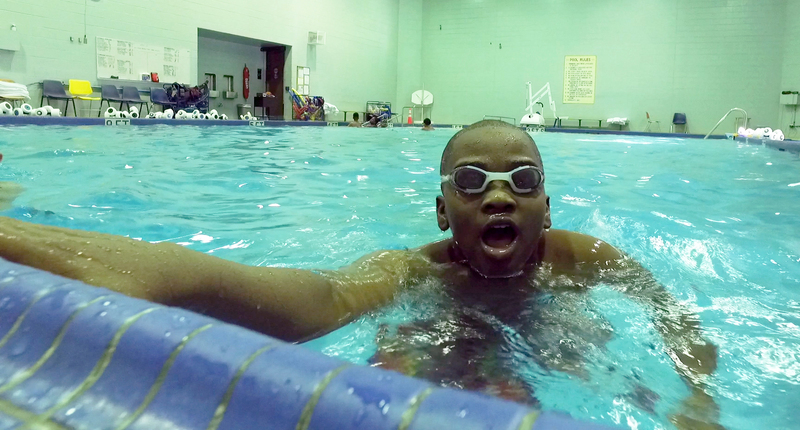 “We track the progress of each student, and we’ve found that swimming in the pool helps reduce their symptoms. Swimming is a large part of our fitness program that has been key in scaling back emergency room visits and hospital stays.” said McCullough. 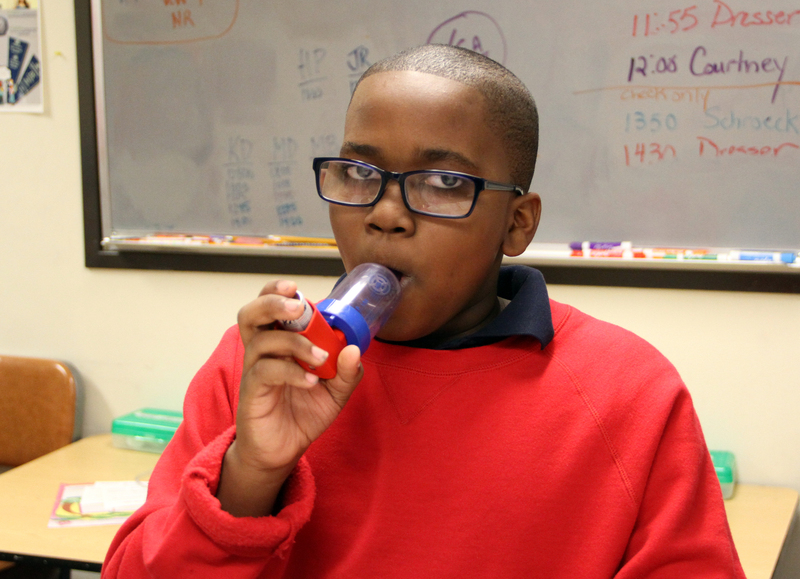 Kristian Jackson, 11, uses his inhaler before exercising. Since strengthening his lung function through swimming, he has been able to keep his asthma under control with less medication. 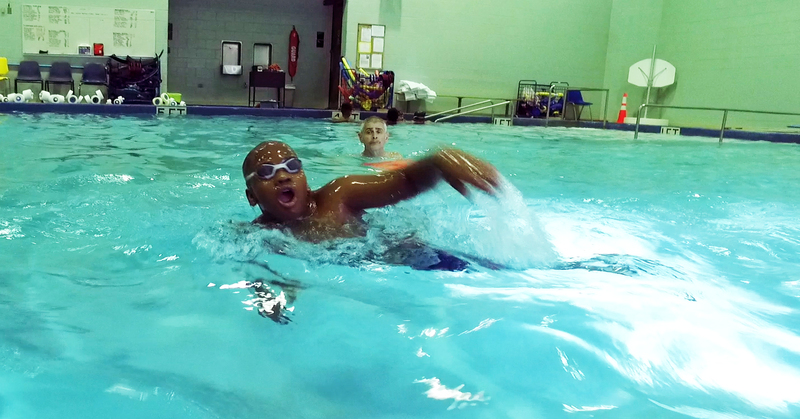 Kristian Jackson, 11, swims at the pool at Morgridge Academy on the campus of National Jewish Health in Denver. The school serves children with asthma and other chronic illnesses and makes swimming part of their curriculum, which not only allows children to exercise, but also has been shown to improve asthma symptoms. Tod Olin, M.D. 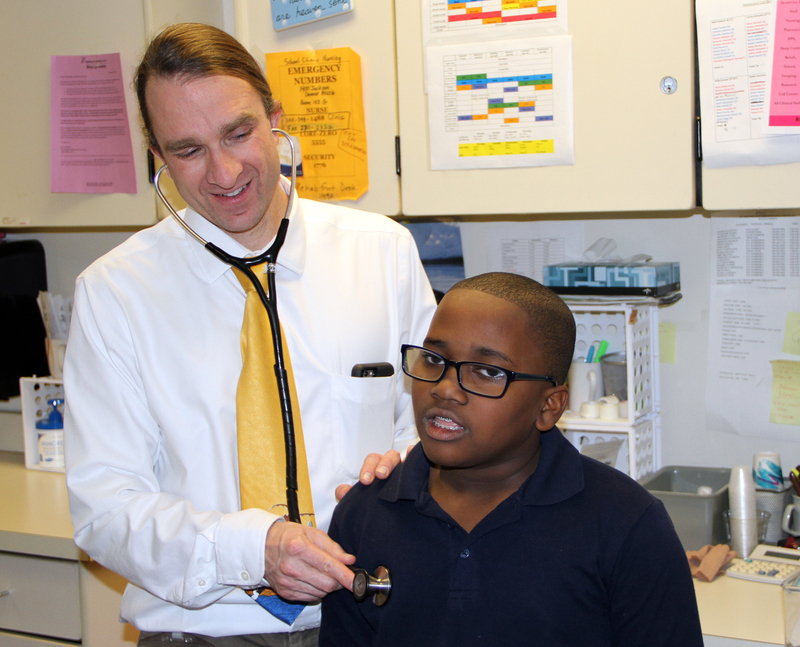 examines 11-year-old Kristian Jackson at Morgridge Academy on the campus of National Jewish Health in Denver. Jackson, who has asthma, has shown considerable improvement in his symptoms after enrolling at the academy, which uses indoor swimming classes to help children get regular exercise and control their asthma symptoms. 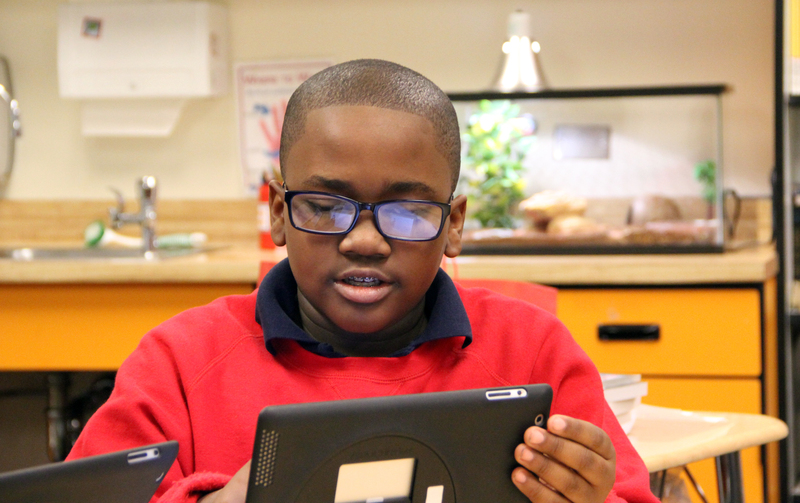 Kristian Jackson, 11, attends class at Morgridge Academy on the campus of National Jewish Health in Denver. The academy enrolls only children who have chronic health conditions who need daily medical attention. Jackson, who has asthma, has shown marked improvement after going through the school’s swimming classes, which are designed to help children exercise safely and improve their asthma symptoms.